At Atlantis Worldwide, we know there are a lot of questions about the medical device excise tax that’s scheduled to go into back into effect on January 1, 2018. The Affordable Care Act’s 2.3 percent tax on medical device manufacturers took effect in January 2013. Because this is a tax on revenue, not profit, the effective rate of this tax is 1.5 percent. 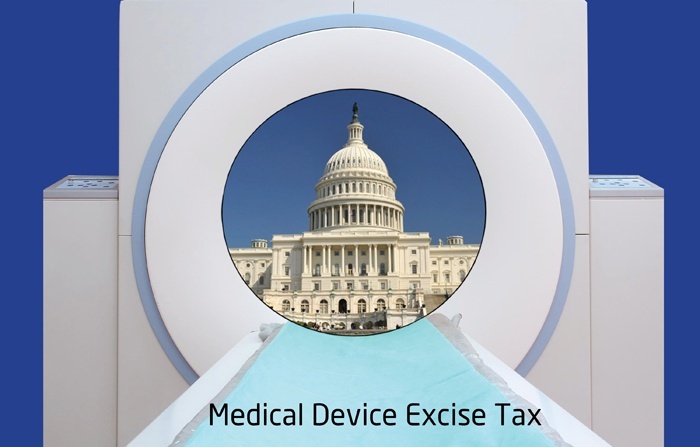 The excise tax applies to non-retail medical devices and equipment such as MRI, CT Scanners, X-ray equipment, pacemakers and surgical instruments. It does not include contact lenses, eyeglasses or other medical equipment that is usually sold in retail settings. The Medical Device Excise Tas has been a key repeal target in part because it is so small, and hence feels relatively easy to pick off. The Medical Device Manufacturers Association has led the consistent lobbying effort to repeal this tax. They spent $1.2 million in 2015 and 2016 lobbying Congress. This year they have spent approximately $600,000. It has faced a sustained and bipartisan repeal campaign. Congress suspended the medical device tax in late 2016, with bipartisan support. The device industry has been pushing Congress to repeal the assessment, arguing that the fee will make medical devices unaffordable for patients and negatively impact patient access to new and innovative medical technologies. Because repealing the tax would benefit large device manufacturers in Massachusetts and Minnesota, Democratic senators Amy Klobuchar, Elizabeth Warren and Al Franken support repealing the tax. Some believe repealing the tax would make very little difference in federal revenues, reducing revenue about $20 billion over the next 10 years, according to the Congressional Budget Office. A study by medical industry group, AvaMed, and a report from the American Action Forum, a conservative right wing lobby, both showed the medical technology industry lost 29,000 jobs while the device tax was in effect. These figures come from the Census Bureau’s Annual Survey of Manufacturers. Both AvaMed and the American Action Forum say the timeline of the job losses align too closely with the tax to attribute the losses to other factors. Pure timing is not enough evidence to draw conclusions. Timing alone does not explain the slight recovery in jobs in 2015 or the overall decline in jobs that began in 2011. That suggests other factors play a role. A January 2015 survey by industry consulting firm Emergo Group found that more than 50% of 685 executives in American medical device firms did not make any significant business changes in 2014 in response to the tax. Other factors could be in play. In recent years the medical device industry has faced many regulatory and technology changes that have made its future volatile. In addition, other players have a bigger role in the market, including China, India, Korea, Russia and Brazil. Emergo, spokesman Chris Shorre said the strong U.S. dollar, which began rising in 2014, probably has had more to do with the sluggish growth among U.S. medical device companies than the tax itself. In an analysis in 2014, CRS found that the tax would have “fairly minor effects” on U.S. jobs but believed that the administrative and compliance costs are disproportionate to the revenue. At Atlantis Worldwide, we know much of our industry is watching the status of the Medical Device Excise Tax with interest. The impact of this excise tax in the scheme of our health care delivery system is truly minimal and to date no factual impact positive or negative has been found to have been caused by this tax. Powerful lobbying efforts have been exerted on behalf of the medical device industry. Time will tell us the outcome. Contact Us Today for Sensible Solutions for Your Refurbished Radiology Equipment Needs! Should your business lease or buy medical imaging equipment? Extend The Life of Your Medical Imagining Equipment or Replace It?